A robust system designed for protecting against higher flood heights. Regularly used for site protection. Ideal for protecting higher flood heights. Units can be provided in many colors. Including red, white, dark green, grey, black, yellow and blue. Our 36” tall Floodstop barrier is a rapidly deployable flood barrier. Each section (pod) is 36” tall and 40” (3.3 foot ) in length. 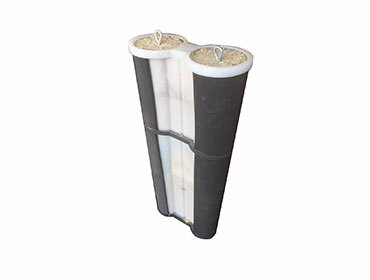 Pods are easily connected together using the weighted universal key, creating a flexible flood barrier of any length. 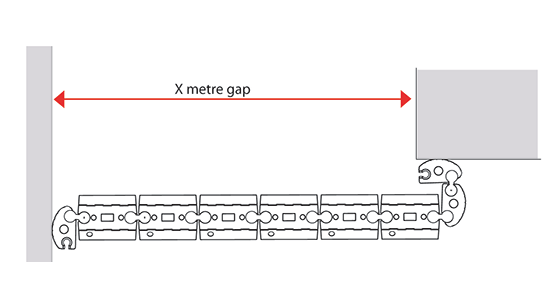 We protect any opening from flood waters, just let us know the required barrier length and if you require wall connection. FLOODSTOP flood defense pods actually fill with the rising flood waters; which combined with the weighted universal keys ensures the assembled flood barrier holds back flood waters. 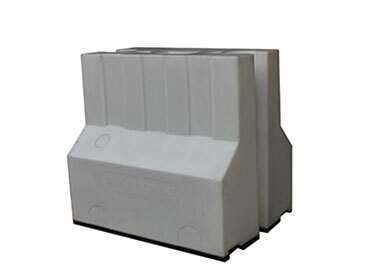 Why FLOODSTOP - flood protection? 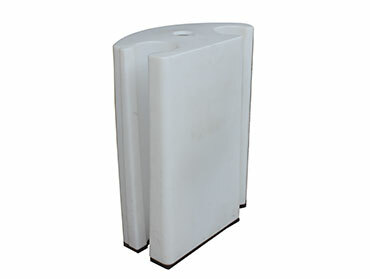 Like our 24" high Floodstop barrier our 36” high Floodstop barrier is manufactured from robust plastic. Our systems are rotationally moulded which ensures a strong, water tight product is moulded. Multi-functional in communities, also functions as a road traffic delineator barrier and reservoir system. For detailed instructions, please check the assembly page. This component is made up of two easily manageable parts, an Upper Key (approx 50lbs) and Lower Key (approx 55lbs).